Fancy a cheeky Friday cocktail? We've got you covered courtesy of our good friends at Warner Edwards. With a sweeter twist on a nice sharp classic, the elderflower gimlet is simple and delicious. 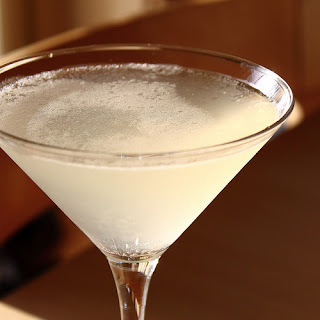 The gimlet was supposedly invented by Dr Thomas Gimlette in the 19th century as a means of getting citrus into his sailors to avoid scurvy. Clever bloke! Though he probably ended up with a load of drunk sailors with perfect teeth. Tip! If we have any lying about, we sometimes add a splash of sparkling wine. Put the gin and elderflower into a cocktail shaker with ice (we recommend a penguin shaker) and squeeze half a lime in there - make sure to avoid any pips falling in. Give it all a good battering and strain into a cocktail glass. Garnish with a sprig if mint and away you go!